You could get into this week’s Nets-Cavs game practically for free. What, new Cavs small forward Cedi Osman isn’t a big draw? 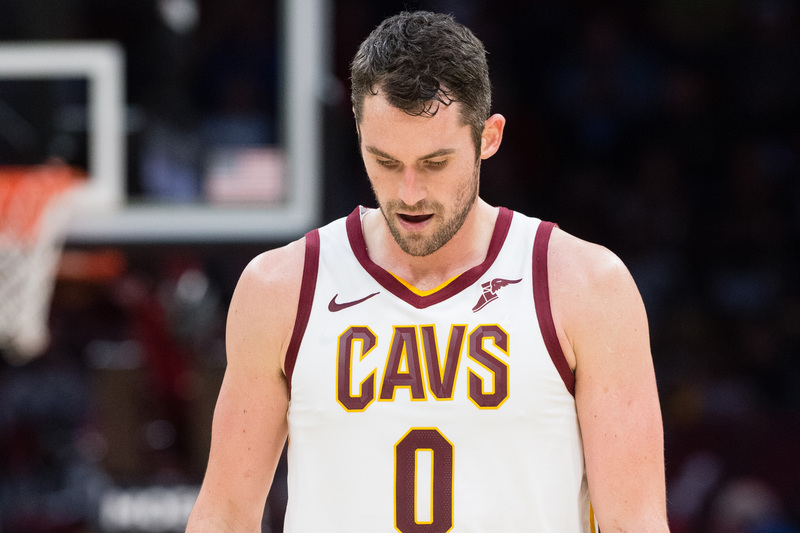 The Cavs are 0–5 after losing last night to the Pistons in Detroit, so can you blame Cleveland fans if they’re not exactly rushing to buy tickets to see them play? Cleveland played the Nets at home on Wednesday and, as TMZ points out, you could buy tickets to the game for just $2. That was the price you would pay about a half hour before tipoff if you searched on Flash Seats, a ticket app owned by Cavs owner Dan Gilbert. I thought that must be an outlier. The price doesn’t include fees, I’d never heard of that app before and tickets always drop right before the start of the game. But ticket prices for future games aren’t much steeper. On StubHub, the cheapest ticket to Saturday’s game against the Pacers is $12.50, with fees included. Even a Saturday night game against the Raptors, a candidate to win the East, only costs $17 to see. Attendance is apparently still good at Cavs games, though. Both of Cleveland’s home games this year listed an attendance of 19,432. The team may have sold that many tickets, but who knows how many people actually showed up. Scott Foster, an accountant, became the rare NHL emergency goalie to actually appear in a game last season. Now the Blackhawks are inviting him to take part in practice on a semi-regular basis. I led Monday’s Hot Clicks with the video of CFL defensive back T.J. Lee getting blown up after goading an opposing receiver. Now we know two new important things. First of all, the Edmonton receiver (I couldn’t make out his number because the video was of terrible quality) is former Auburn player Duke Williams. Second, he play earned him a fine for hitting Lee in the head. Georgia Tech and Georgia Southern both cruised to blowout wins last night, and they completed combined one pass. ... The New York Times has a fascinating story about how a Japanese company turns broken baseball bats from around the country into chopsticks. ... The Red Wings’ offense is so stagnant that Arby’s was forced to change the terms of its free curly fries promotion. ... Woj says the Rockets are offering FOUR first-round draft picks to the Wolves for Jimmy Butler. NFL players wear FitBits during the game? Jason in Syracuse asks Mike Francesa for his opinion on Syracuse football coach Dino Babers. But nothing can top the Al Albuquerque screw-up.